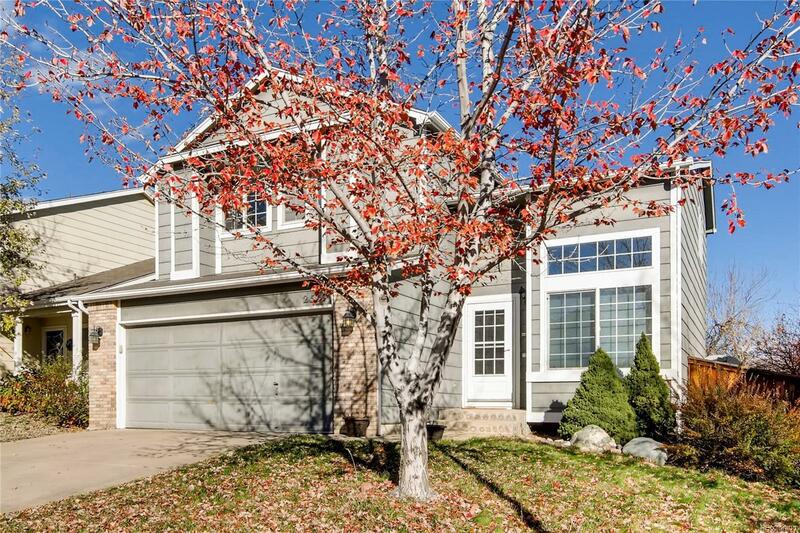 Open House 12/02/2018 1-4 p.m. Beautiful, move-in ready home in the heart of Highlands Ranch. Hard wood floors throughout the front room and kitchen! The kitchen features granite counters, stainless steel appliances, contemporary white cabinets, large kitchen island, back splash upgraded sink with fixtures! Family room is super cozy with a fireplace and open concept from the kitchen and eat-in kitchen area! Upstairs you'll find the large master bedroom with walk-in closets, five-piece master bathroom! Three more large secondary bedrooms upstairs and another full bath room! The basement is finished perfectly for guests or even a second master bedroom (5th bedroom)! Back yard is very private with no home directly behind it! Do not miss out on the opportunity to view this home today! All new carpet and interior paint! Sellers offering $2,000 dollar seller concession to buyers in sale for exterior paint.